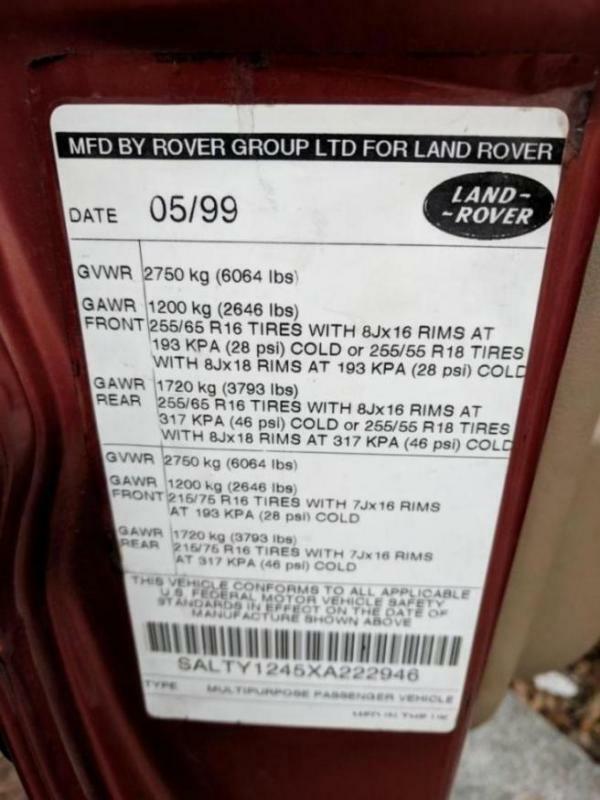 Land Rover Forums : Land Rover and Range Rover Forum > Land Rover Model Forums > Discovery Series II > I think I own of the earliest D2's built. I just think that that crank made the engine work harder to get more power and probably making the block hotter than the 4.0. Horsepower equals heat. More horsepower more heat. A 4.6 is not working as hard as a 4.0 as it has more power in reserve. A 4.0 will have to kick down and rev harder to produce the same power as a 4.6 at lower revs. Oh, Good to know. OK. I've been reading about 4.6 issues for years. Electrical and mechanical. I would never own one myself. The 4.0 is great motor if you keep the water temp down. This topic has been beat to death on all LR forums. Not really. Horsepower = heat. Both are required to produce the same horsepower for a given situation, so both will produce the same heat. It is just that the 4.0 will have to rev higher to produce that horsepower. Only about a third of the energy that is produced by the motor actually turns over the motor to produce power to the wheels. Around a third goes out the exhaust as heat and the remaining third is used as heat to heat the block/coolant. So the 4.6 works less harder and needs less effort than the 4.0 to move. They seem to brake down just the same as 4.0. ...They seem to brake down just the same as 4.0. I literally laughed out loud...glad I didn't have any coffee going down or you'd owe me a keyboard Dave. Catch my new comedy short film I directed "The Grandma" on Amazon Prime, free for Amazon Prime members. It's not for kids. If you like it give it a good review, but no spoilers. I bought a '99 DII in Kinversand for my son. Sold it when he got out of law school. Really loved the color. Just realized it is in this pic.